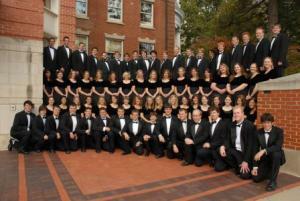 Iowa State Singers: MUSIC 161, M-F 12:10-1:00 p.m. 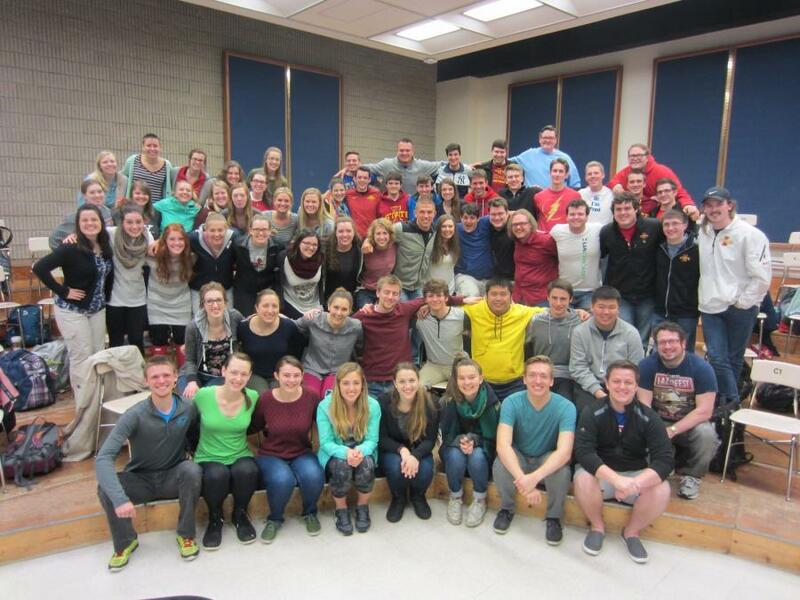 The Iowa State Singers is a 72-member mixed choral ensemble comprised of students who come from numerous areas of study at Iowa State. This select ensemble performs the finest literature from Renaissance to contemporary, including newly commissioned works. In addition to performing various local concerts, the Singers tour annually and present an authentic Madrigal Dinner every January. Every spring they perform a masterwork with all ISU choirs, most recently Orff's Carmina Burana, Handel's Messiah, Brahms' German Requiem, and other such works. 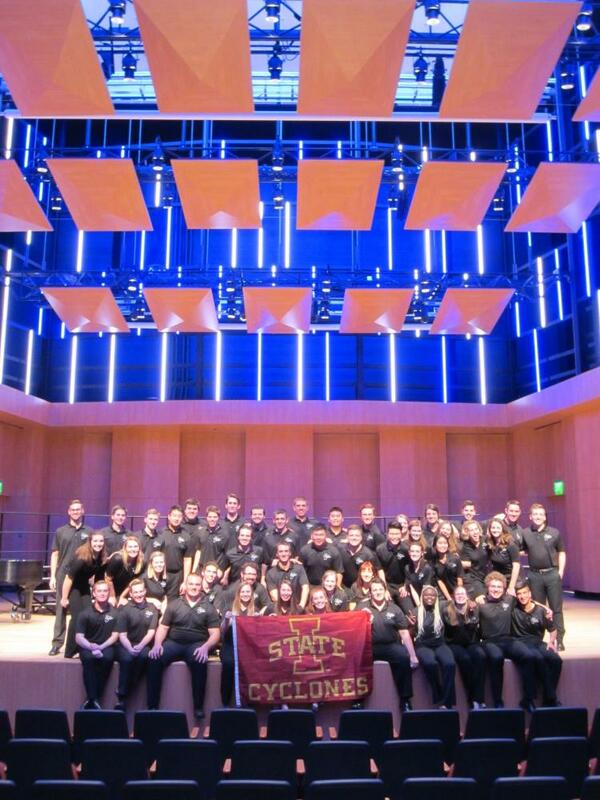 The Iowa State Singers have been honored in recent years with invitations to perform at several highly distinguished music conferences, including the 2004, 2005, 2009, 2010, and 2015 ACDA conferences in Sioux Falls, Los Angeles, Minneapolis, Oklahoma City, and Salt Lake City, and the 2008 and 2011 NCCO National Conferences in Cincinnati and Fort Collins. Thousands of choral conductors from the United States and abroad have responded enthusiastically to the choir's offerings. 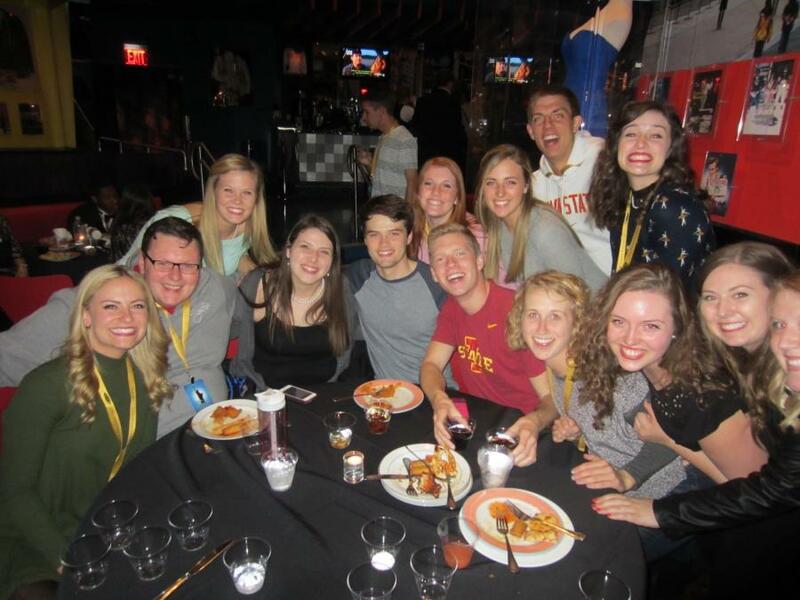 The members of the Iowa State Singers have been thrilled with these opportunities and gratefully acknowledge their former members, whose commitment to artistry helped to develop one of the very beautiful traditions at Iowa State University. The Singers have also traveled internationally, singing to critical acclaim in the Baltic States and Scandinavia (2003), China (2006), Korea (2011) where they shared a concert with the world-renowned Incheon City Chorale, and most recently Western Europe (2015). 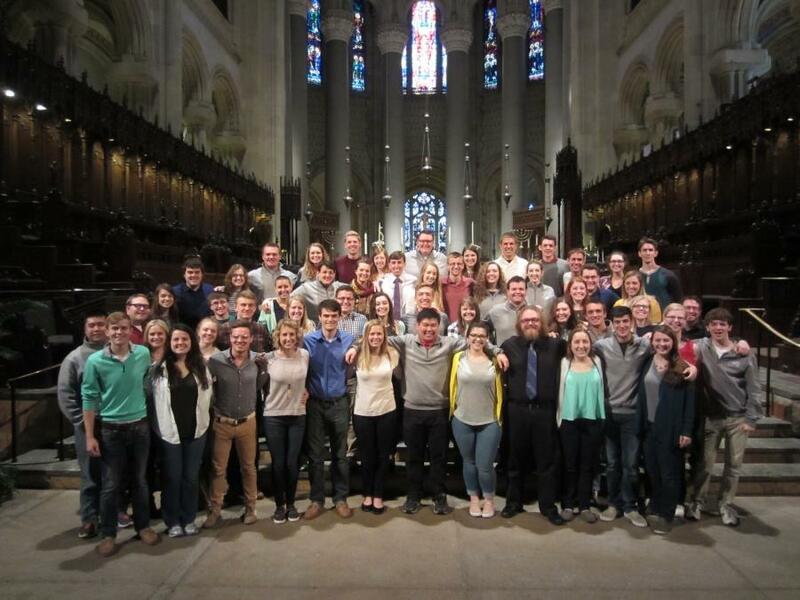 In 2013 the Singers were honored as the national winners of The American Prize, College/University Chorus Division.